We have a little confession to make: Instagram is (still) our most frequented social media app. Does this come as a surprise to you? Probably not! We spend more time on Instagram than we’d like to admit. But allow us to defend ourselves: Since writing this post last year, our favorite app has helped us discover even more inspiring people, places, food and animals. As we scroll through our feeds, we are constantly drawn in by beautiful scenery, artfully crafted food, and incredible outfits. The inspiration is truly endless if you’re following the right accounts! 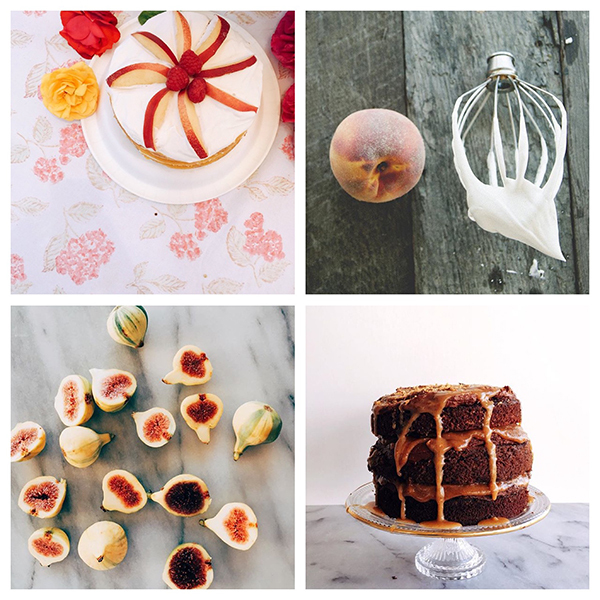 So today, we’ve rounded up a list of our current faves when it comes to Instagram. If your sweet tooth is as big as ours, you’ll love this Instagram account. This fellow Californian and baker extraordinaire will have your mouth watering in no time with her cakes, cookies, donuts and ice cream cones! Not to mention she has a whole cake series based on Taylor Swift’s 1989 song lyrics. If you dream about Paris (and everything else lovely), MyLittleFabric will have you swooning. Aline is a graphic designer, stylist and food photographer based in the city of romance, and has curated an Instagram that is visually stunning. You won’t regret following this mademoiselle! If you know anything about us, you know that we have a slight obsession with the Ban.do girl gang. Christina just so happens to be their director of social media so you can only imagine the inspiration that you’ll find on her Instagram! We’ll give you a hint: think colorful, quirky and a whole lot of fun. If you’re ever in the market for a new book to read, this account is a goldmine. 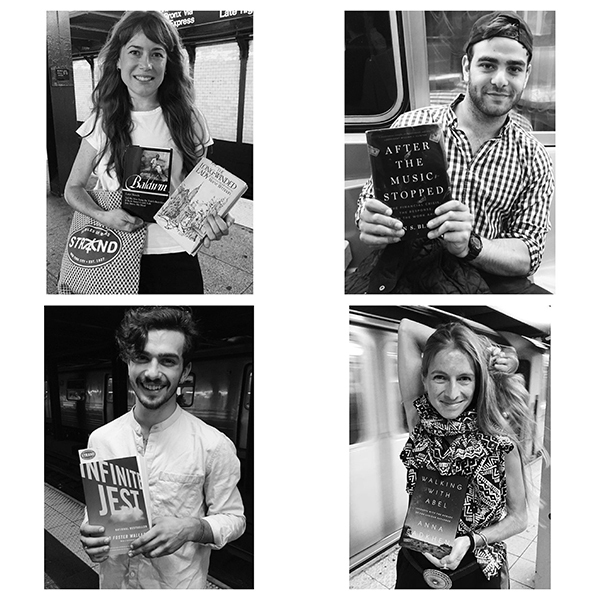 @SubwayBookReview is an account dedicated to interviewing complete strangers on the subway about the books that they’re currently reading. We absolutely love this concept and could read through the photo captions for hours! This Instagram account is what pastel dreams are made of. 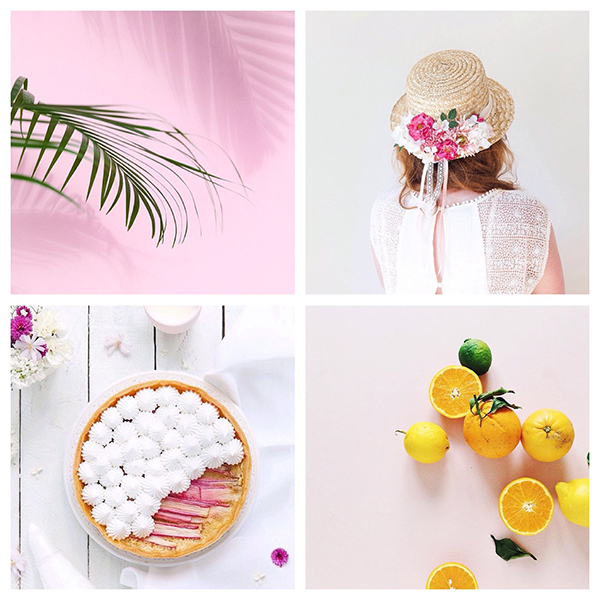 Maria is a stylist and photographer that has an eye for color and whimsicality. Her still life portraits are incredible and each photo is it’s own work of art. Do your feed a favor and follow Maria ASAP! You might recognize this next account from this post. 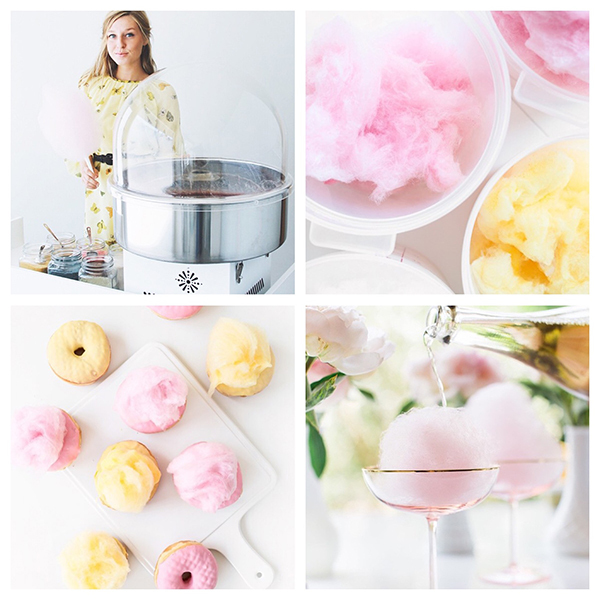 Chloë is the cotton candy queen, and brings an all-organic twist to our favorite dessert. Her Instagram shows a behind-the-scenes look at Chloë’s unique confections and how she stays inspired. 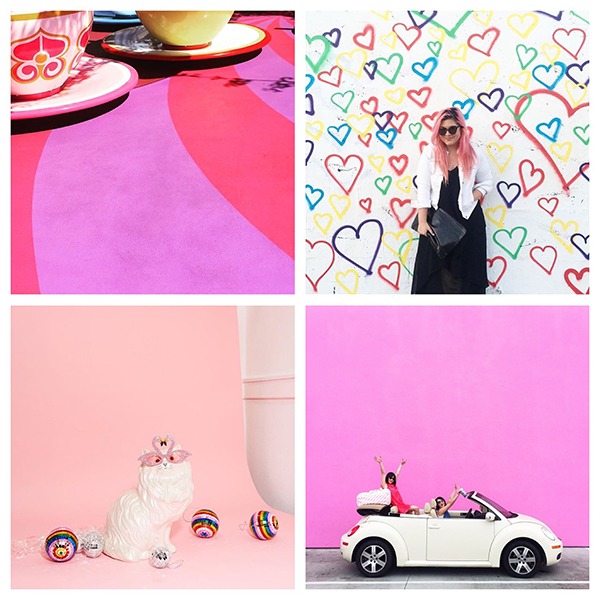 Follow @BonPuf and see where her cotton candy adventures take her. Our favorite interior designer and blogger just so happens to have one of our favorite Instagram accounts! Emily Henderson’s Instagram is a home décor heaven that constantly has us wanting to redecorate our own homes. But she’s also worth following for her hilarious captions alone. Go browse her account to see what we mean. Here’s another Instagram account to get your mouths watering (sorry, not sorry). @SweetLaurelBakery’s mantra is to love the food you eat instead of punishing yourself for craving it. That being said, they’re dedicated to making sweet treats made with the healthiest, organic ingredients while taking the prettiest pictures. Yum! This Instagram account list wouldn’t be complete without some major travel inspiration. Carley is a photographer and traveler whose page is filled with gorgeous blue skies and amazing travel destinations. Our wanderlust is at an all-time high. Last but not least, our 10th and final favorite Instagram account goes to this Australian born, New York City local. Emma’s account has us dreaming about beachy getaways and spending our time sailing the deep blue. Consider this account a visual vacation! 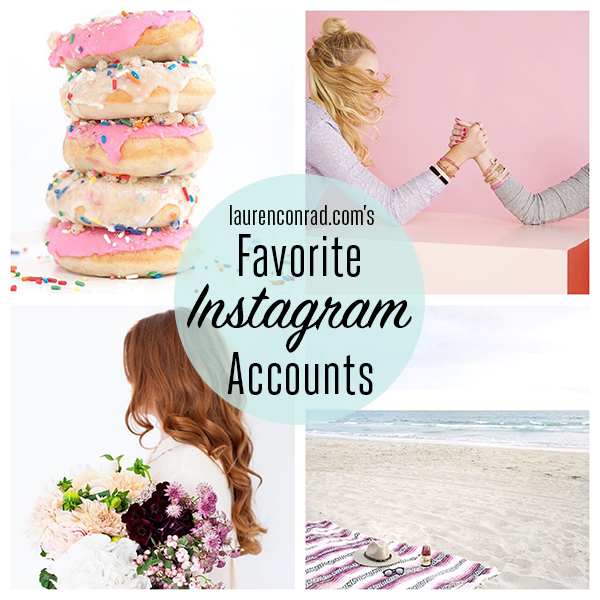 Let us know in the comments, and don’t forget to follow us on the @laurenconrad_com Instagram as well!